After a rough fifth window where the Philippine Team lost to both Iran and Kazakhstan at home, Coach Yeng Guiao and the Samahang Basketbol ng Pilipinas (SBP) is calling for reinforcements. 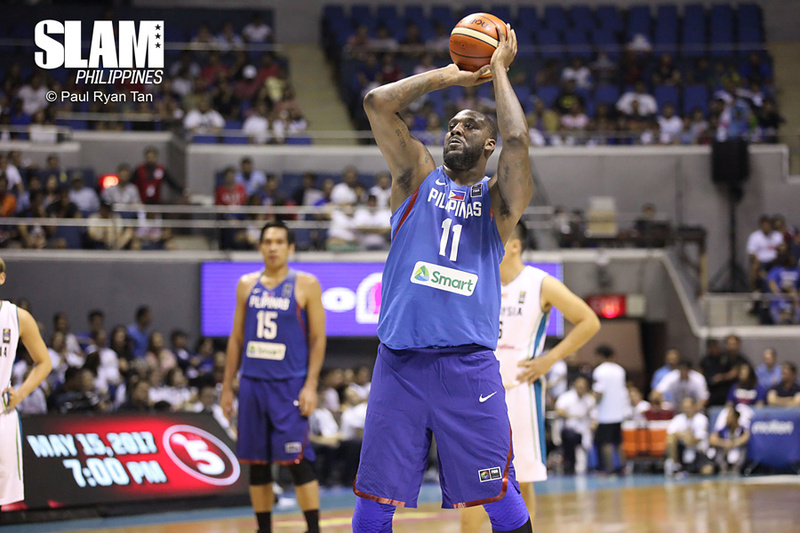 They’re bringing back Blatche for the sixth and final window of the Asian Qualifiers. The Philippine Team is playing both their games next month in foreign territory and they’ll need Blatche’s size, skill and experience to help them get crucial wins. Joining Blatche in the 14-man pool are Japeth Aguilar, Raymond Almazan, Mark Barroca, Jayson Castro, Poy Erram, June Mar Fajardo, Marcio Lassiter, Paul Lee, Gabe Norwood, Roger Pogoy, Troy Rosario and Scottie Thompson. Christian Standhardinger was also named to the pool as a back-up naturalized player. The last time Blatche played for the national team was the controversial game against Australia back in July. Since then, he sat out the last two windows in September and November. Blatche’s three-game suspension from the brawl against Australia is fully served. Blatche is averaging 11.7 points, 11.8 rebounds and 2.2 blocks per game in the six games he played in previous windows.